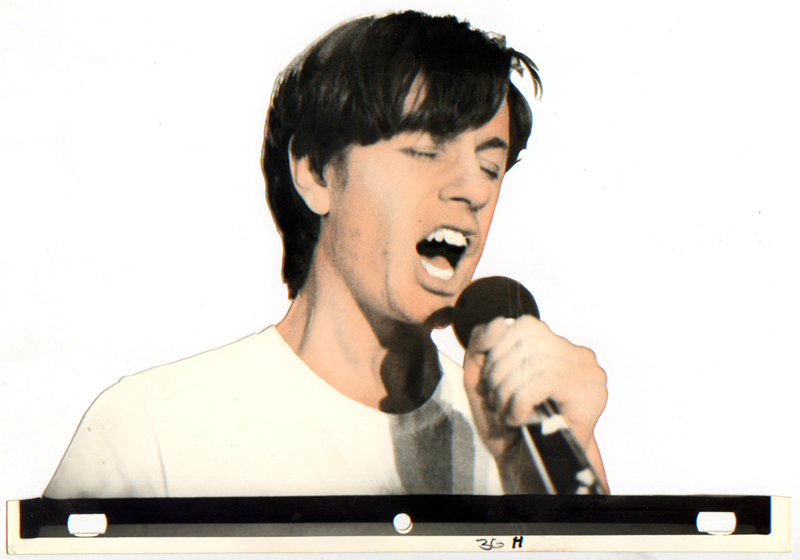 M. Henry Jones (Photographer) Fleshtones’ singer Peter Zaremba, hand colored cut-out photo for the animation Soul City. Approx. 7 x 10 in., Irregular shape. Gallery 98 is pleased to present ten of the original, hand-colored, cutout photographs that M. Henry Jones created for his animated film Soul City. Created before the invention of digital editing and computer tools like Photoshop, this 2 ½ minute film was an incredibly labor-intensive task that required two years to complete. Jones printed over 1700 photographs that were then hand-cut with an X-acto knife, hand-colored, and reshot frame-by-frame with changing color backgrounds. This is the first time that original photographs from this now legendary film are being offered for sale.